2. Tap on “Backup & reset” at the bottom of the screen. You might need to scroll down. 4. 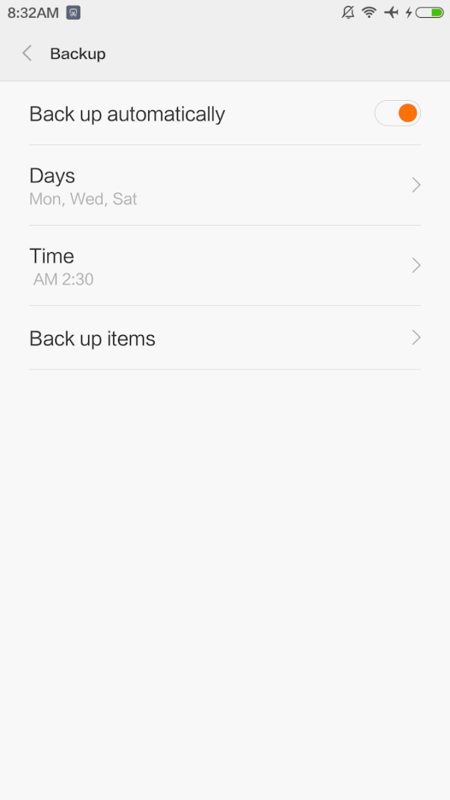 Inside of the “Backup automatically” menu, you will see toggles to turn it on, as well as schedule it. Below is the schedule that I use to keep my data and preferences safe. Backup data will be saved in the SD / MIUI / BACKUP / ALLBACKUP / path corresponding date is a point-in-time backup. To be on the safe side, you can extract the backup files and store them on your computer. In addition, thisbackup feature can also be set for certain times and be encrypted for security purposes.